CHAP deficiency-free score award to Hospice of the Midwest! Sue Roussel – Employee Spotlight! 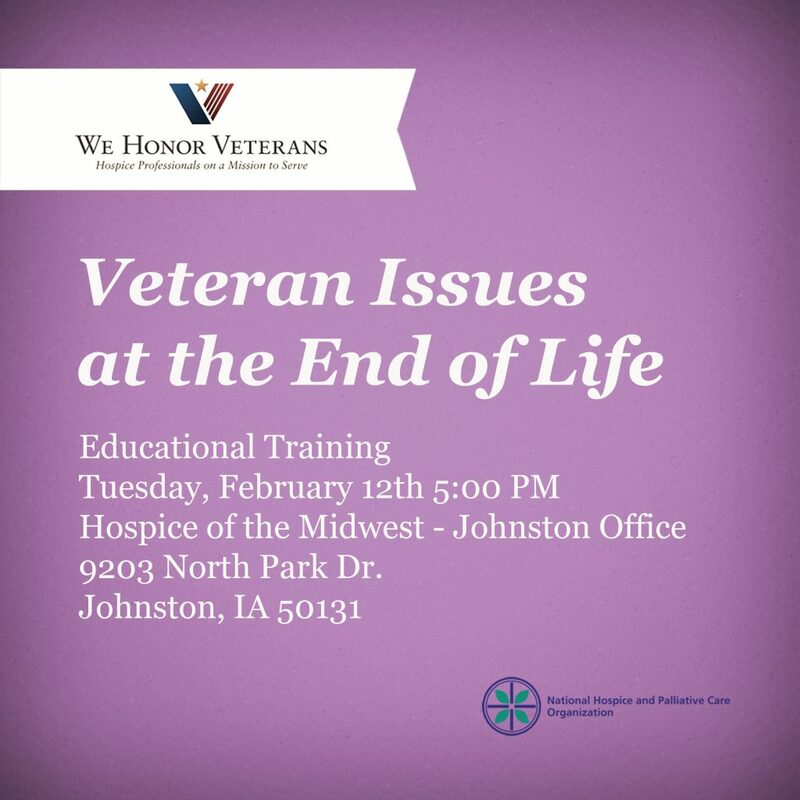 Join our Hospice of the Midwest Johnston team for some educational training on issues that Veterans face at the end of life! ← Sue Roussel – Employee Spotlight!